Citation: Elson N, Foran D. Low Level Laser Therapy in Modern Dentistry. Periodon Prosthodon. 2015, 1: 1. The purpose of writing this article is to evaluate the anti-inflammatory and analgesic effects of intraoral application of low-level laser therapy. Authors have positive treatment outcomes which allow to reduce prescribing antibiotics and pain killer medications. LASER is an acronym for: Light Amplification by Stimulated Emission of Radiation. Laser therapy has a long history of medical applications and has begun to show great promise in dental applications. There is evidence that laser therapy is a useful adjunct to conventional routine dental care and is rising in popularity among dentists. Lasers are devices which generate electromagnetic radiation that is uniform in wavelength, phase and polarization . They can be classified as a high-powered, low powered, surgical or therapeutic. There is evidence that lowpowered or therapeutic laser have analgesic, anti-inflammatory and biostimulatory properties on live tissue. Laser technology has the unique advantage of improving treatment techniques as well as aiding in the healing process. 1. Laser assisted procedures performed on soft tissue may not require suturing through a process called tissue welding. This is a process that uses laser energy to anastomose tissues. 2. Minimizes bleeding by helping tissue coagulation. 3. Minimizes or even eliminates the need for anesthesia in certain clinical procedures. 4. Bacterial decontamination of deep periodontal pockets, root canal systems. 5. Removal of the smear layer after tooth preparations. 7. Stimulate healing of injured tissues. 9. Enhance remodeling and repair of bone. The focus of the article will be Low Level Laser Therapy, commonly known as LLLT. Low Level Laser Therapy, or laser Photobiostimulation, is a form of phototherapy which involves the application of monochromatic and coherent light to injuries and lesions to stimulate healing . It is a non-thermal laser and operates in a wavelength range of 630-980 nm with typical irradiance of 5 mW/cm2 to 5 W/cm2 and generated by devices with as little power as 1 mW, and up to 10 W with either pulsed or continuous waves. The main absorber for these wavelengths are hemoglobin and melanin. Mucosa does not absorb light well. It transparent comparison to muscles which have the greatest absorption . Penetration depths vary from 3 cm to 5 cm. The most challenging part to find the optimal dosage and dose at target. We talking about therapeutic window than optimal dose. For LLLT to be effective, the applied irradiation parameters including wavelength, power, irradiance, exposure time, and pulse need to be applied within limits. Unlike many other laser treatments LLLT is more analogous to photosynthesis in its mode of action [4,5]. LLLT also differs from photodynamic therapy (PDT). It is a combination of using laser with dye to kill bacteria. Produced singlet oxygen has a strong bactericidal effect. PDT appears to be a useful adjunctive tool for treating oral infections in the dental specialties of oral surgery, endodontics and periodontitis. After laser absorption by any cell in the body nitric oxide is removing from the respiratory chain in the mitochondria and level of ATP and ROS are increasing. ATP is the energy currency for a cell. Cell potential increases for normal functioning. This process starts the chain reaction inside the cell followed by gene transcription and cellular signaling. Extracellular or bystander effects also occur [6-8]. For LLLT to be effective, the applied irradiation parameters including wavelength, power, irradiance, exposure time, and pulse need to be applied within limits. The use of LLLT as a treatment method was first described by Dr. Endre Mester. Dr. Mester’s publications on the biostimulatory effects of the low intensity laser began in 1967. These molecular effects of LLLT are generally described as Photobiostimulation. This process describes an event in which photons are absorbed by chromophores. Chromophores are the parts of a molecule responsible for it color. The color arises when a molecule absorbs certain wavelengths of visible light [9-11]. Examples of chromophores in humans include melanin and hemoglobin. Photobiostimulation increases DNA and RNA synthesis and for laser therapy to be used safely and effectively, applied knowledge of tissue anatomy, laser physics and cell biology are necessary. As mentioned, lasers can augment tissue but the response of that tissue will depend on that particular tissues healing mechanism. Low doses of LLLT stimulates the proliferation of fibroblasts resulting in the higher tensile strengths of tissue needed for proper wound healing. Laser can also initiate the differentiation of fibroblasts into myofibroblasts. LASER potentiates the proliferative response of peripheral blood lymphocytes. LASER enhances phagocytic activity of macrophages during initial phases of repair response. It may affect immune cells which secrete cytokines and growth factors Laser affect the local immune system, blood and lymph circulations, cell metabolism. By releasing prostaglandins and endorphins it influences pain perception. LASER has been shown to increases the migration of human epidermal keratinocytes resulting in accelerated wound closure. Proliferation, differentiation and calcification of osteoblastic cells when cells are in a phase of active growth. Increasing the level of calcium and phosphorus contents. LLLT may reduce tension of vascular smooth muscle and contribute to analgesic effects. Blood is the major absorber of light. Reduce synthesis of inflammatory mediators, restore function in injured nerves. Accelerate vasodilation and relaxation of smooth muscles, increased granulation tissue, early epithelialization, and increased fibroblast proliferation, improvement in scar formation (scar thickness, pain occurrence). Analgesia can be achieved with wavelengths from 632 nm to 904 nm. Various biological mechanisms are involved: reducing level of prostaglandin, tumor necrosis factor, interleukin-1 and COX-2 expression, reduce edema and post-trauma hemorrhagic formation, improved microcirculation. Effective for apical periodontitis following RCT and post-extraction pain. Changes in pulpal neural transmission. Most effective when tooth crown and root apex is irradiated. For cavity preparation and caries removal we are using hard tissue or hot laser but to sterilize cavity and dentinal tubules LLLT protocol can be applied with conjuction with methylene blue. Treatment of mucositis and recurrent aphthous ulcers show promising results and positive alternative to other treatments better than currently used palliative care methods. LLLT is most effective during prodromal stage, but actually can be used in active stage also. More visits will be needed. The future of LLLT is promising. There are no absolute contraindications for LLLT. * Eyes of everybody in operative should be protected when laser in use. * Pregnancy- treat with caution, does not apply over fetus. Not enough data. * Epileptics - light might trigger the seizure. LLLT is a safe effective treatment to enable enhanced healing, better tissue remodeling, reduced inflammation and analgesia for use in a wide range of oral pathologies. It is drug free and relatively side-effect free and appears to be efficacious where many current pharmaceuticals are not. Apart from an enhanced rate of postoperative healing and better tissue remodeling, LLLT is also a major benefit for patients who are in pain, are needle phobic or cannot tolerate non-steroidal inflammatory drugs (NSAIDs). Laser devices using for LLLT is classified as a Class III or Class IIIb in comparison with hot lasers (Class IV). Eye protection is necessary by using special glasses. We deeply believe that Laser and LLLT are widespread in Dentistry in near future when more studies and researches will be published. Talmor M, Bleustein CB, Poppas DP (2001) Laser tissue welding: a biotechnological advance for the future. Arch Facial Plast Surg 3: 207-213. Carroll JD, Milward MR, Cooper PR, Hadis M, Palin WM (2014) Developments in low level light therapy (LLLT) for Dentistry. Dent Mater 30: 465-475. Smith KC (2007) Ten Lectures on Basic Science of Laser Phototherapy. Photochemistry and Photobiology83: 1539-1540. Oton-Leite AF, Silva GB, Morais MO, Silva TA, Leles CR (2015) Effect of low-level laser therapy on chemo radiotherapy-induced oral mucositis and salivary inflammatory mediators in head and neck cancer patients. Lasers Surg Med 47: 296-305. Morais MO, Elias MR, Leles CR, Dourado Pinezi JC, Mendonça EF (2015) The effect of preventive oral care on treatment outcomes of a cohort of oral cancer patients. Support Care Cancer 1-8. Arbabi-Kalati F, Arbabi-Kalati F, Moridi T (2013) Evaluation of the effect of low level laser on prevention of chemotherapy induced mucositis.Acta Med Iran51:157-162. McCarthy DK(1990) Laser Curettage Using the Pulsed Nd:YAG Laser in Vivo. North American Academy of Laser Dentistry: Boston, Massachusetts, USA. Midda M (1990) Innovation et technologie en biologie et medicine. Actes du deuxienne congre modial. L, impact des lasers en sciences odontologiques. Paris, France 105. Yukna RA, Bowers GM, Lawrence JJ, et al. (1976) A clinical study of healing in humans following the excisional new attachment procedure. J Periodontol 47:696-700. Robert AC, Donald JC (2011) Laser Fundamentals. Principles and Practice of Laser Dentistry, Mosby 12-26. Kirpa J (2011) Fundamentals of Laser Dentistry. 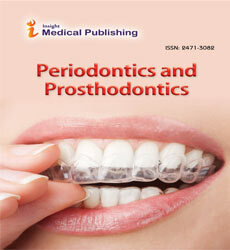 JB Medical Publishers Pvt. Ltd., India.p. 156.